It isn’t enough to design spaces that operate efficiently under ordinary conditions—we have to consider their ability to weather extraordinary conditions as well. The keys to resilient design include seemingly contradictory concepts: both diversity and redundancy. A resilient system should include a variety of spaces or structures, but it also needs enough of them that they don’t fail all at once during a disaster. The first, and perhaps most obvious solution, is to elevate anything built near a shoreline. Raise existing buildings, put everything on stilts, and be sure that new construction includes a first story parking garage or an open public space. This makes sense: we should be designing spaces that are meant to flood, rather than fruitlessly hoping we’ll be able to keep water out during a storm. But designing to ensure the resilience of a single structure doesn’t solve the problem. What about the houses next door? The rest of the town? The state? One answer lies in working with the landscape. Designers and city planners are widening beaches, restoring marshes, and constructing wetlands: they’re letting the landscape act as a buffer zone. 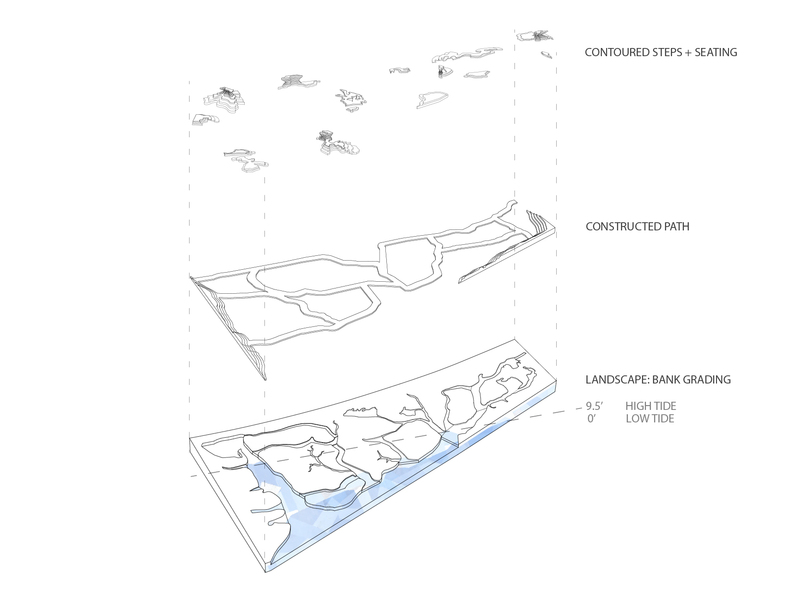 These constructions offer active public spaces during nice weather, and wetlands are incredibly diverse ecosystems that can also filter runoff from urban areas. I took a stab at designing such a space during an advanced architecture studio this past semester, and it was this project that led me to the Maharam S.T.E.A.M. Fellowship and my proposal at Massport. The studio was focused on developing proposals for the Greenway Connector, which is a series of public parks and paths in East Boston managed by Massport and the Boston Redevelopment Authority. My proposal was sited in the Wood Island Marsh, directly across from Massport’s Logan Airport runways. 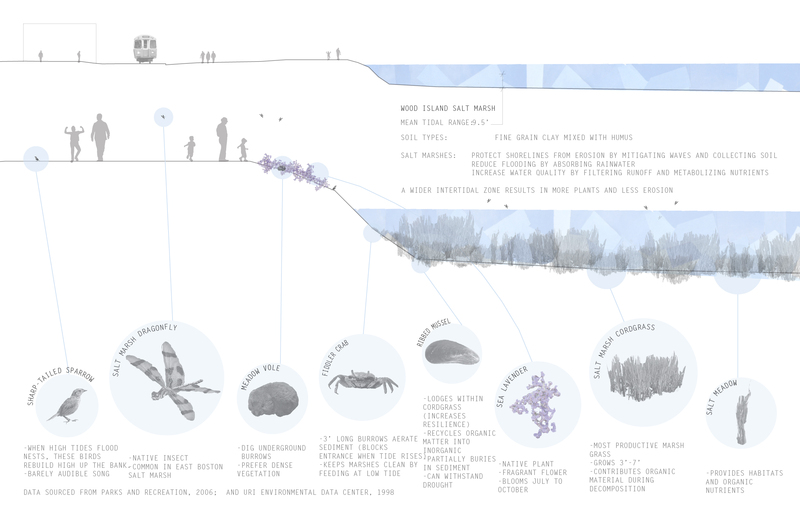 The idea was to create a space that celebrates the marsh’s existing conditions while protecting it from future erosion. During nice weather, the space acts as a public park and is designed to partially flood at high tide. During poor weather, the marsh acts as a buffer zone and absorbs storm surges before water can reach the MBTA tracks that run along the site’s periphery. A sectional site analysis of existing plant and animal life in the Wood Island Marsh. A plan of the proposal, at median tide. An exploded axonometric at high tide. 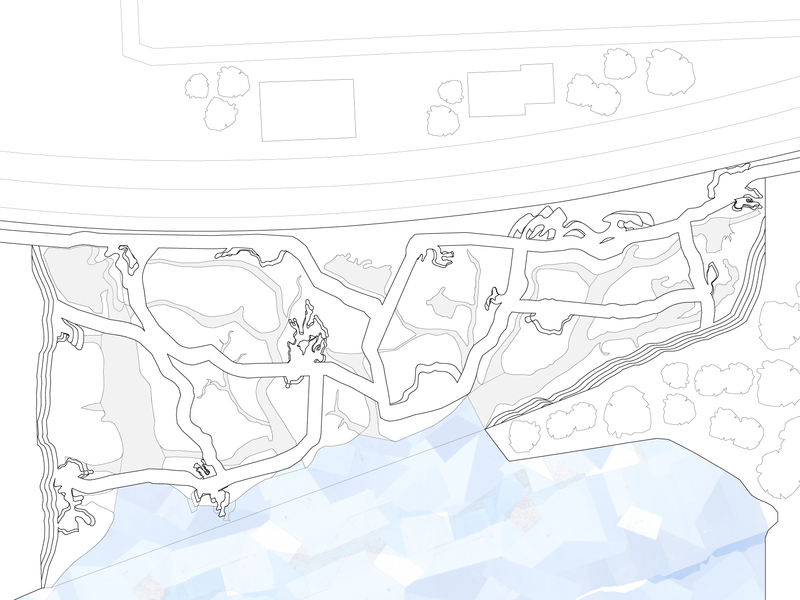 The design includes contoured steps and seating, a constructed path, a graded bank, and a series of canals. 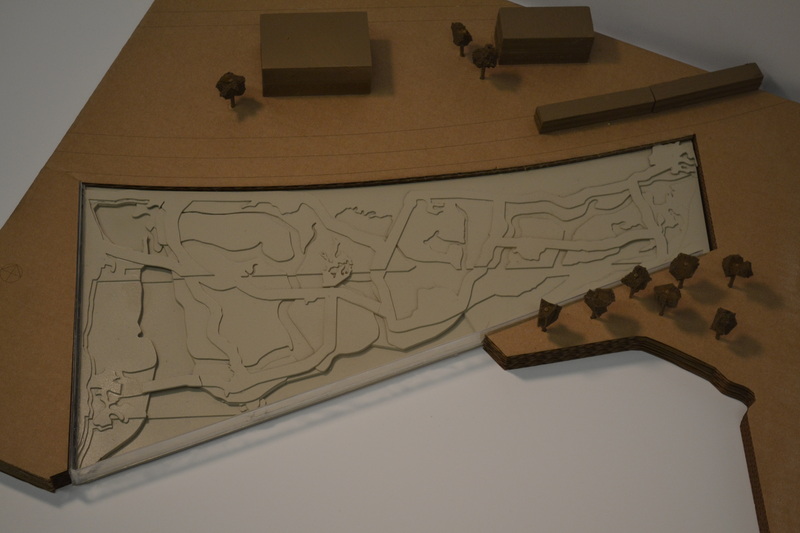 A site model of the proposal. To see the full project, click here.